Does anyone cares for a video chat with their passed away ancestors? The Chinese would perhaps answer affirmatively provided there was WiFi in the heaven. The living are not the only category of people who would like to own Apple items in China. iPhones and iPad 2 shown up in the catalogue of ancestors' tribute items at this year’s Tomb Sweeping Day (清明节). Not bootleg ones, but mock-up cardboard ones. 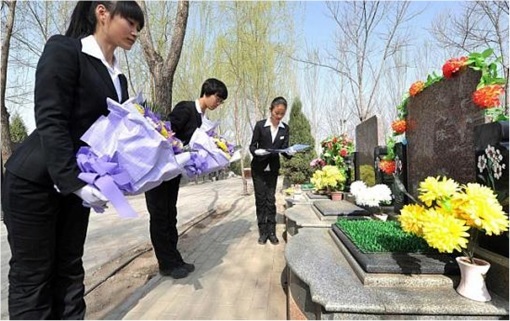 Tomb Sweeping Day is a Chinese festival to show respect to predecessors and all the departed souls of cherished friends. The symbols of respect and honor are cleaning up their tombs or offering food, tea, wine. It is tradition to burn paper money to the deceased, as well as facsimile paper houses, autos, household items, TV sets, attractive paper young women, credit cards, condoms or just about anything that could sweeten after-life by adding more comfort and entertainment. This year, many Chinese in paradise, or in hell, may be lucky to receive the hallmark devices of our generation – iPhones and iPads. Apart from electronic gifts, Chinese paper ritual gifts businesses are also offering foodies, with vegan meals, rice puddings, macarons and fast food among the hottest offers. A lot of shops which specialise in passing-away gifts that can be found both in mortar-brick form and virtual form have cardboard-made iPhone and iPad mock-ups this year. As stated in a China Daily article, a set of 2 iPads and 4 iPhones in various colors is sold for 6 yuan. 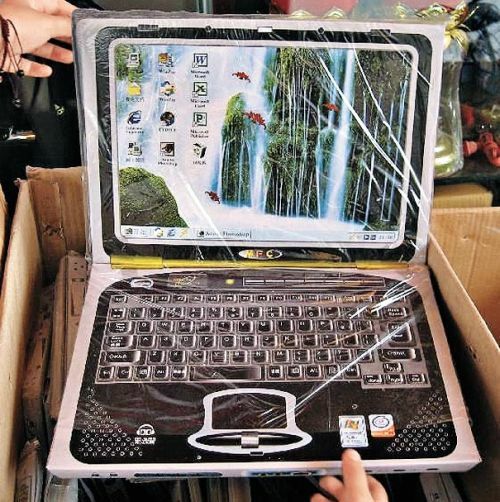 A MacBook is sold for 6 yuan. A ritual-offering store owner interviewed by iFeng.com added, “Cardboard iPhones and iPads are hot this year. 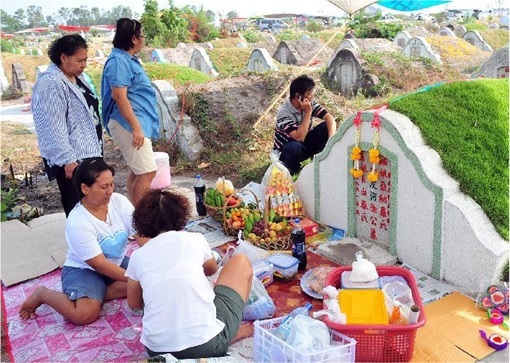 I had truckloads of them for the Tomb Sweeping Day and they are all gone now.” However, not all Chinese are welcoming the new trend with open arms. 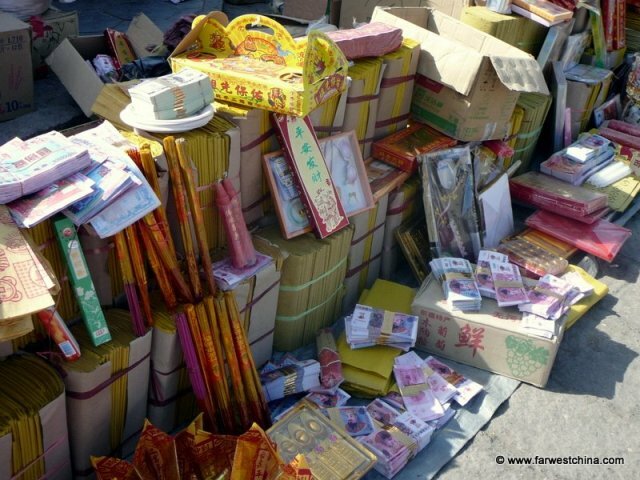 Some Chinese were annoyed by the fact over the years the Chinese traditional Qingming values slowly losse the shine. 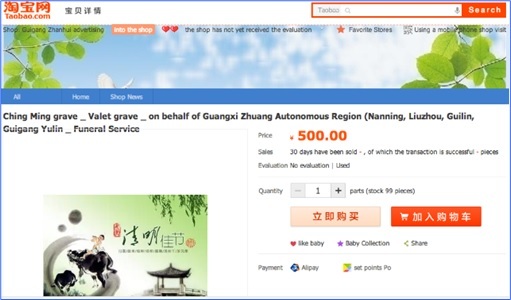 People forget the true meaning of the celebration and instead rush to e-commerce shops such as Alibaba to buy some iPads, iPhones, chargers, and even an Apple Watch. They say that the traditional burning items like paper money and houses were a sweet and respectful gesture to the deceased. But a gadget that sprang to life decades after they passed away? NO! Of course, the festival shopping spree is still occuring on Aliexpress. 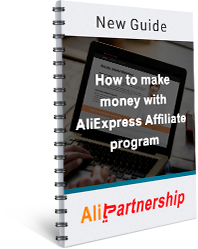 Alibaba generally, and Aliexpress and Taobao in particular, are the heart of every festival that is associated with shopping for stuff in China. All of them do. Since travelling to a home-town during national celebrations may take enourmous amount of time in China - imagine millions of people rushing home - some clever Chinese figured a new way of commemorating the dead. As shameful as it may sound, one can hire professional mourners to clean gravesite, kowtow, mourn, weep and even send a video to prove it anywhere from $15 to thousands of dollars. Alibaba was crammed with tomb-sweeping services as if they were accessories or clothes. However, the idea of the sweeping services faced even harsher criticism than burning fake Apple items. Many point out that the wealthy are increasingly visiting their ancestors’ graves themselves this year to separate themselves from nouveau riche bad reputation of overconsumption that only happens in China. That is probably one of the reasons why DIY and BIY (burn-it-yourself) paper goods are extremely appealing for the breathing this year on Alibaba. One of the nations’s solemn dates dedicated to commemorating the dead was almost spoiled by the excessive consumerism of modern China. Luckily, it was saved by remains of common sense. But you can still buy paper iPhones for after-life dwellers if you want to. Mock-up paper Apple products can be also handy to play some mild prank on somebody on April Fools' Day or other days of the year.